Community members and representatives from the National Theatre Workshop for the Handicapped, which owns the Crosby School in downtown Belfast, brainstorm ideas for the building's future. Mirrors and a barre still remain in the former dance studio at the Crosby School, which was home to the National Theatre Workshop for the Handicapped until that group stopped using it four or more years ago. The former high school is now for sale. 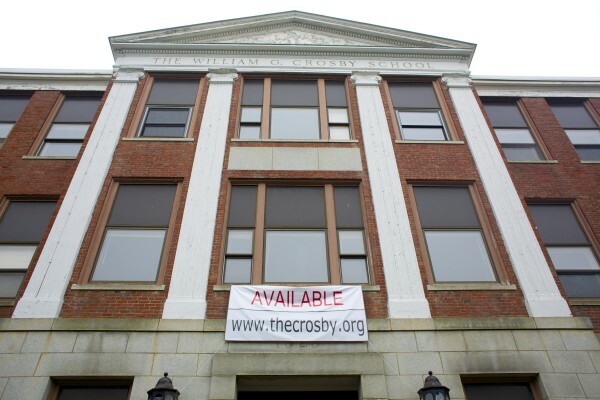 The Crosby building displaying an "available" banner across the building's facade in August 2013. BELFAST, Maine — No idea was off the table this week, as owners of the empty Crosby School met with city officials and others to take a tour of the facility and to talk about its future. Ideas bandied about included one from Jim Roberts, the newly-elected leader of VFW Post 3108, who said it would be ideal for area veterans. The top floor apartments could be used by homeless veterans and the office space on the second floor could be used by the midcoast VFW, American Legion and other veterans’ groups. Local theater aficionados said that the first-floor theater spaces would be wonderful in a city devoid of a dedicated event center. Curry told the group that the 36,000 square-foot building, which is on the market, will have an asking price of less than $2 million. He said that the board of directors will be working to come up with a more specific figure soon. “I think the nearly $2 million price tag is the only thing holding all of us back,” Breanna Pinkham Bebb of Our Town Belfast told Curry. 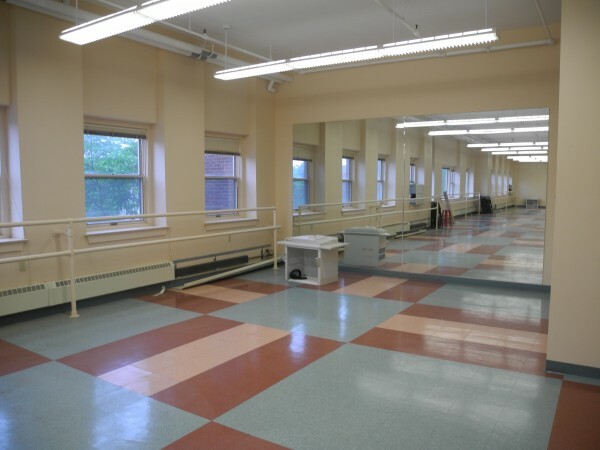 In 1993, the junior high moved to a new middle school building across town, and the Crosby School was empty for three years, until city officials decided to sell it for $200,000 to the New York-based theater workshop. Rick Curry, the head of the organization who has since become a Jesuit priest, invested about $3.5 million into the building to add theaters, lounges, apartments and an elevator. It was last assessed by the city in 2003 at $3.6 million. Beginning in the mid-90s, the workshop’s students and teachers came to Belfast during the summers to put on plays, do classes and bake bread at the connected bakery. But by 2007 or so, activity there had slowed considerably, in part because the bad economy caused charitable donations to dry up and partly because Rick Curry had started to turn his attention to the plight of disabled veterans. The school has been empty since about 2010, and was seized by the city of Belfast that fall for nonpayment of a $700 sewer bill. At that time, officials said that they took the drastic step because the building was in a state of disrepair, with broken windows, a mold problem and an unmowed lawn. But by the following spring, city officials returned the title for the building to the National Theatre Workshop for the Handicapped after the group cleaned up, did mold remediation and more. 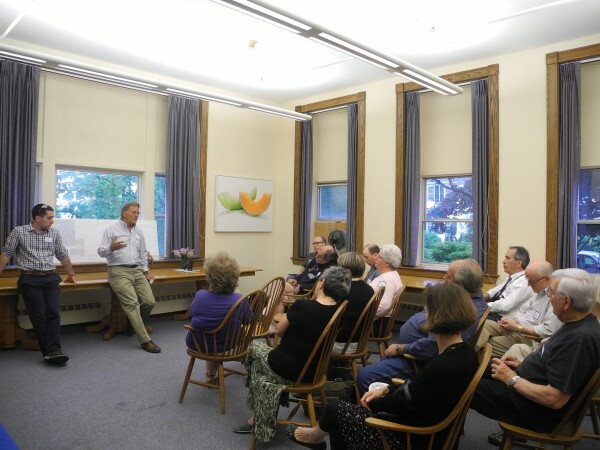 Last summer, a banner was hoisted above the front door that read “AVAILABLE.” But Jim Curry, Rick’s cousin, said that while there’s been interest, a buyer has not yet emerged, and he held the meeting this week to solicit ideas. “We think the building’s highest and best use is to be a mixed-use property,” he said. The residents who wandered around the classrooms and hallways on Wednesday evening found the building in good repair. Many lingered in the big theater, admiring the 400-person seating capacity and the professional-looking stage, and some prowled around the modern kitchen. A stained-glass window glowed in the evening light in the small chapel and bulky computers, time capsules of the late 1990s, still sat on some desks. Although no one stepped up to write a check at the forum, Jim Curry said that he felt heartened by the community interest, and also by the chance that area veterans might be able to make use of the structure.